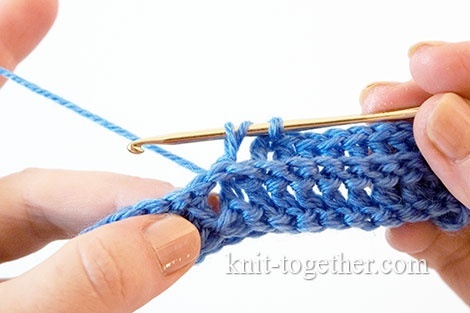 In the rubric The different ways crochet stitches we don't talked about method Cochet Post. 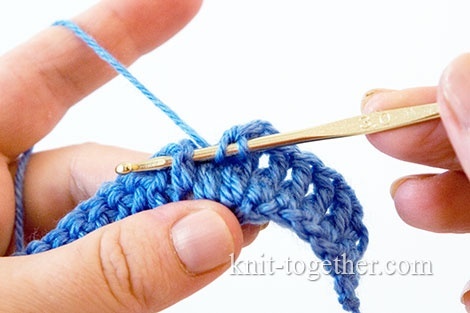 This method of fastening the stitches to the stitches of the previous row forms a separate type - textural or convex stitches, so we have devoted them a separate theme. Textural (post) stitches can be of two types: Front Post and Back Post. 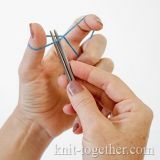 As with other types of stitches, the post stitches can be done using many stitches, such as: single crochet, half double crochet, double crochet and so on. 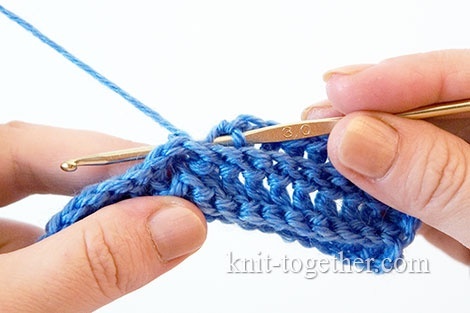 In this lesson we show you how to crochet the post stitch using double crochet stitches. 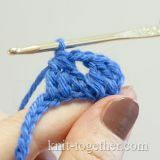 Make the yarn over, insert the hook behind the post of the previous row from the front side, the post will be located above the hook. 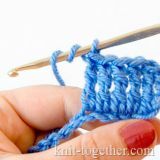 Grab the working yarn, pull the loop and finish the double crochet stitch. 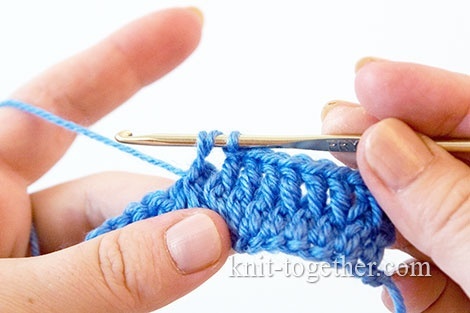 You see, that the post of the stitch, which we just did, wraps around the post of the stitch of the previous row. 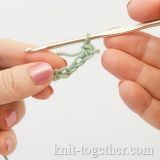 Back post double crochet is similar front post double crochet, only the hook is inserted not from the front side, and from wrong side of work. 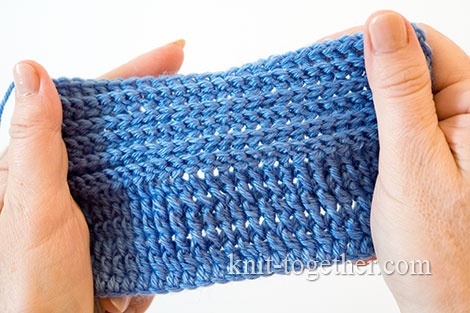 If you crochet all rows with post stitches of one type (example, only front post or only back post), it turns out the relief fabric with deep transverse furrows. 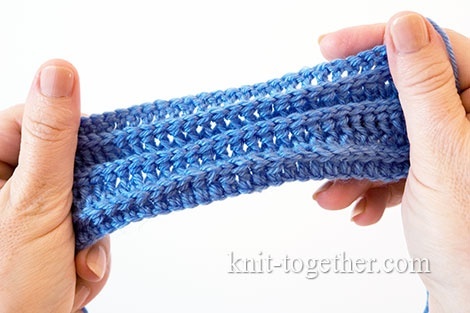 If to crochet alternately: one row of the front post, another of the back post, the look of fabric on the right side and on the wrong side will be different. 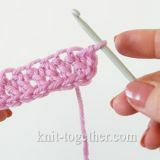 The post stitches are used for crocheting the textural crochet patterns and layered motifs and flowers.